Licensure is a hot topic right now and everybody has questions about it. 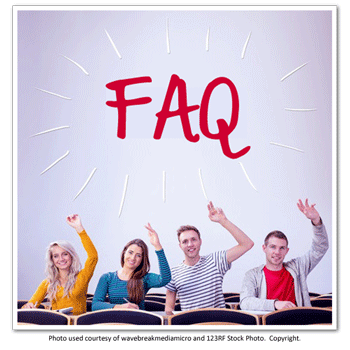 Here is a list of some of the most frequently asked questions and their answers. If you have other questions about licensure in Idaho, please contact us and we will be happy to answer your questions. Who will have to be licensed to perform lab tests in Idaho? Anyone that performs moderately or highly complex laboratory tests in Idaho will have to be licensed to perform those tests. That includes all settings where lab tests are performed, e.g., physician offices and clinics, hospitals, reference labs, etc. There will be a few exceptions, e.g., federal labs over which the state has no jurisdiction. Those facilities performing only waived tests will not have to employ licensed personnel. The fee for the license will be determined by the licensure board (which is established by the licensure legislation), and will only be enough to cover the expenses of granting the license, i.e., staff for processing, record-keeping and mailing, and periodic meetings of the licensure board. There will be no cost to the taxpayer to support licenses. Passage of the proposed legislation will be a major step in achieving the quality standards for laboratory testing that we all desire. It will insure that patients can rely on their laboratory test results to be accurate, regardless of where the tests are performed. An added benefit is reduced healthcare costs by having fewer tests repeated to verify results, along with well-trained professionals to assist providers in ordering the right tests at the right time, and to assist in interpreting the results. I’m already licensed in another state, but want to move to Idaho. Will Idaho recognize my license? The proposed legislation allows for recognition of other state licenses, as long as those licenses have the same minimum requirements of a bachelors degree and specific national certification. Idaho will not develop its own test, but will recognize specific national certification that requires a bachelor’s degree. No additional exam will be required. Will I lose my job if I am working in a lab now, but don’t meet the qualifications for a license? No one will lose their job when licensure is implemented. A “grandfather” clause, which states that those employed in a lab for a yet-to-be determined minimum amount of time, will be allowed 1 year to apply for and receive a license. After the first year of implementation, all applicants must meet the requirements for the license. What’s the problem – hospitals in Idaho have to hire certified personnel anyway? This is a common misunderstanding. Idaho hospitals are free to hire personnel to do lab work that have only a high school diploma and meet CLIA requirements. They are not required to have any formal education or training beyond high school. In addition, hundreds of laboratory tests are performed every day in settings other than hospitals. Will this precipitate a shortage, or make a current shortage worse? Studies have shown that states with licensure do not have any worse shortages than states without licensure. Again, studies have shown that wages are not significantly different in states with licensure vs. those without it. I took a national certification exam – now I’m licensed, right? A national certification exam is a voluntary action that confirms that the certificant has had the education, training and experience to perform the activity. Licensure is a state-granted right to perform the activity for which you are licensed, while others that are not licensed are not allowed to perform that activity. Examples range from acting as a physician or serving as a hairdresser to driving a car or going fishing. how will this affect hospitals who have non-medical technologists (RTs, RNs, MAs) performing moderately complex testing? Not all of the staff have bachelor’s degrees. How will this be addressed? Thank you for your question regarding our licensure bill. In 54-5808 (6), there is an exemption for point-of-care testing performed by non-licensed personnel, as long as a licensed MLS or MT is responsible for ensuring that all aspects of the testing follow current laboratory standards for QC, QA, training, technology selection, proficiency testing result review and recommended corrective action, and personnel competency. So, yes, non-licensed personnel will be able to continue to perform these point-of-care tests, under this exemption, as long as a licensed MLS and MT is responsible for seeing that it is done correctly. Thanks again for your question, and please let us know if you have any further questions. I’ve lived in Idaho for the last 2.5 years working as a lab supervisor in a local family practice. I know there is a lot going on with the license bills. Reading your FAQ made me have a question ha ha ha I have been in the medical field for 15+ years most of which I have been in the lab. I have performed a number of different tasks during this time. I’ve worked small office to large (ARUP) exc. Back to my question, I see that the first yr I will be grandfathered in with Idaho. During which time I must get a license. I have only a few years of college. I’ve been OJT the whole way. Lucky I guess. So in this one year I will have to get my bachelors in CLS to keep my job. Thanks for your question. Your grandfather license will be the same as a certified person’s license, and will be in force as long as you meet the renewal requirements each year. Those requirements are 12 hours of continuing education and payment of the renewal fee. We tried to get the renewal period to be 2 or 3 years, instead of annually, but the state of Idaho requires annual renewal. I would also like to invite you to become a member of the American Society for Clinical Laboratory Science, the primary professional society for laboratorians. Our organization sponsors continuing education events, informs members of state and national issues impacting laboratories and lab professionals, and promotes our profession in many other ways. The website address for the national organization is ascls.org (where you can join online) and for the state is asclsidaho.org ASCLS has many resources for continuing education online and many opportunities for learning leadership skills. Thanks again for your question, and if you need any more information, please feel free to email me at any time!